Just . . . weird. What can we say about Markelle Fultz? The guy truly is an enigma. After bizarrely ​forgetting how to shoot a basketball last season, it seems that now he’s also forgotten how to hold a ping pong paddle. 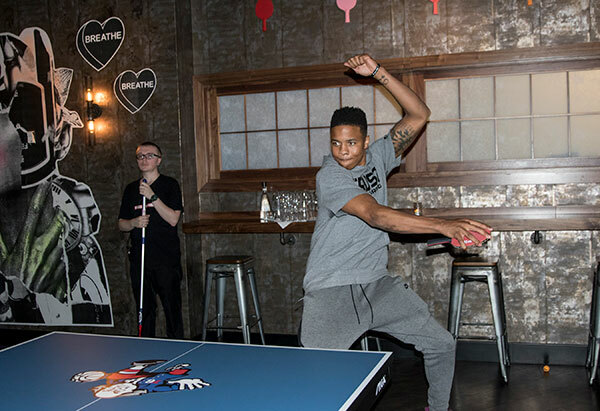 In a recently emerged video, Fultz was full-on palming the paddle. What a damn weirdo. What the hell is going on with this guy? Proper form is clearly not his strongest suit, but hey — he’s out there doing his on thing, because who cares about conforming to what society says we should be doing. Let’s just hope we never have to see him throw the opening pitch at a Phillies game. But for the 76ers, I bet they’re hoping his psychotic ping pong mechanics are not indicative of what’s going on with his shooting mechanics this season. While some people say that the 20-year-old’s broken shot is ​almost fixed, others ​don’t think his ultra-slow release is even close. Only time will tell, but by judging his form in that video, I wouldn’t be putting my house of Markelle to make the game winning shot.